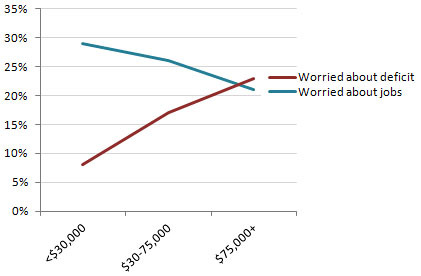 Via Suzy Khimm, here’s a shocker: according to Gallup, low-income people are worried about jobs. High-income people are worried about the deficit. Naturally, this means that Congress and the media can talk about almost nothing except the deficit these days. Welcome to America.